The Board of Directors provide legal governance, strategic planning, and long-term vision for the CAHSMUN organization. The Board is composed of former Secretariat members who bring a wealth of experiences from their professional lives after CAHSMUN. The Board works closely with the Secretariat team to plan each year’s conference and manages year-to-year continuity. Board members are present at the conference and are available 24/7 for emergency situations. To contact the Board, please email Douglas Wong (dwong@cahsmun.org) and Kevin Nan (knan@cahsmun.org). The Board of Directors is supported by Transition Advisors who play an important role in day-to-day advisory of the Secretariat team. Kevin Zuo (Internal), Peter Jiang (External), Ethan Liang (Logistics), Brandon Zhou (Substantive), Lia Lee (New Ventures). Douglas Wong has served as the organization's Chairman for six years and has been involved with the organization since 2006. In his role as Chairman, Douglas leads the governance team, providing strategic direction and continuity to the organization and ensuring that the legal and financial responsibilities of the organization are met. Professionally, Douglas works as the National Government Relations and Policy Program Manager for the Co-operative Housing Federation of Canada. As an affordable housing advocate, Douglas is the organization's representative on Parliament Hill. Douglas studied political science and history at the University of British Columbia and completed graduate studies in political science at McMaster University. Ricardo Lé has served on the CAHSMUN Board since 2008 and has recently become the organization’s Vice Chairman. In this role, Ricardo deals with conference logistics and facilitates CAHSMUN’s long term vision. Professionally, Ricardo works as a manager in Examinations & Assessment at the Royal College of Surgeons of England. Ricardo, is also a health policy lecturer at the University of London and works with Health Education England. 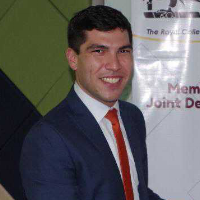 Ricardo studied life sciences and economics at the University of British Columbia and completed graduate degrees in health economics and public health at the University of Queensland. Esteban Lee serves as CAHSMUN's Director of Finance, building off of his experience as a delegate, staff member, and conference Chief of Staff. Esteban is currently in his senior year of the Honours Business Administration program at the Ivey Business School. Professionally, Esteban will be joining the investment banking division of Goldman Sachs next summer, bringing to the job his education and experience at the Toronto-based private equity firm, Auxo Management. Denise first became involved in CAHSMUN in 2006 as a head delegate and subsequently went on to serve in staff, Secretariat, and Board positions with the organization since, including as the Secretary-General of the 2009 conference. She is currently based in London, United Kingdom, and has over five years of experience working in financial services, primarily advising on and facilitating cross-border M&A and structured finance transactions in the Central, Eastern, and South-Eastern European region. Denise holds a Bachelors of Science degree in Cell Biology and Genetics from the University of British Columbia, and a Masters in Management degree from the London Business School. Matthew attended his first CAHSMUN conference in grade 8 as the delegate representing Cyprus at WHO. He had the pleasure of serving as Secretary-General for the 2011 CAHSMUN conference and since joined as a member of the Board of Directors. Professionally, Matt leads an AI startup helping technology companies discover and find engineering talent. In his free time, Matt designs in Sketch and codes in Swift. Jotham has been a part of CAHSMUN since 2014 as a two-time Secretariat member and is now proudly serving as a member of the Board where he facilitates further engagement within the community. Jotham is currently pursuing a Bachelors Degree in Biomedical Engineering at the University of Waterloo. He has previously worked with private and public institutions in developing cardiac surgical instruments and big data analytics in public health. Linda has been a part of the CAHSMUN Secretariat since 2013 and is now continuing her involvement as a member of the Board of Directors. In her current role, she is assists the Secretariat team with community outreach and overall mentorship. Linda is currently a fourth year undergraduate student studying business at UBC. She has previously worked at a private equity shop in Toronto and is hoping to work in strategy consulting upon graduation. Kevin is excited to work as an Advisor on the Board of Directors, after serving on the Secretariat as the USG Marketing in 2016 and Secretary-General in 2017. His main responsibilities include facilitating substantive discussion between the Secretariat and Board of Directors and ensuring deadlines for deliverables are met. 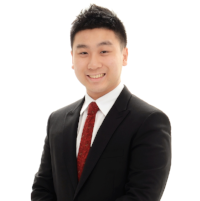 Kevin is currently a second year student pursuing a Bachelor of Commerce at the UBC Sauder School of Business. In the future, Kevin hopes to pursue a career in public policy or strategy consulting. Alexander joined CAHSMUN as the Director-General of the 2017 conference and is thrilled to join the Board where he works as an Advisor to the current Secretariat team. 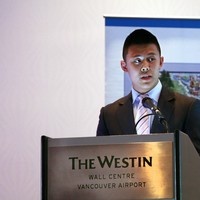 Alexander is currently in his second year at the University of British Columbia's Sauder School of Business. Although he has not decided on his specialization, he hopes to use his education to make a positive impact in the local and global community through business.